Perhaps you’re just getting into the sport of fishing or maybe you simply don’t have the means to buy a boat, don’t fear Fishing With Piotr is here to tell you about the advantages of shore fishing and even offer up a few honey holes that I like to hit up from time to time. Any pro or tournament fisherman needs to have a boat. Don’t forget some of the guys actually earn a living off of fishing. But for a regular Joe like you or me a boat can be a big expense. You not only have to buy the boat, but you have to maintain it, put gas in it, haul it (you may need to get a truck for that), and know what you’re doing once you’re out on the water. A boat can be a lot of fun and can bring you a lot of fish but, if you’re just fishing for fun, shore fishing is the way to go. My first fish caught was from shore. It was nothing more than a measly little sunfish but I knew from then on I was hooked on fishing, pardon the pun. Since then I’ve spent a lot of time casting from shore and looking for the perfect spot where I can just relax and fish while enjoying a comfortable seat on shore. Don’t get me wrong, any chance I get I love to be fishing out on a boat but with shore fishing you can go with a group of friends or family and just enjoy a day out by the lake plus there is a major bonus, if you’re on shore you can always sneak a beer or two! If you have kids shore fishing is definitely the way to go for you. I mean I don’t have any kids “yet” but I know for sure I wouldn’t be taking a boat-full of kids fishing. Do yourself a favour, fishing is supposed to be relaxing and fun, if you fish from shore with kids it just may be. On a boat you know one of them is going to want to go to the washroom and one of them is going to be cracked out on too much sugar to stay still for a few hours. So load up the car and take them to one of the places I suggest in this article. There is always room for the kids to explore when they get restless and you’ll always find a place to take them to the washroom. Shore fishing can offer a variety of fish, from the small pan fish like rocky bass, sunfish, and perch to even larger fish like large/small mouth bass, walleye, and even the occasional pike, but of course it all depends on what lake you’re fishing. I find that man made structure such as boat locks and bridges can offer a fun days of fishing with opportunity to hoist in that big catch. These types of structures are great because the deep water around them traps smaller fish bringing in the larger fish that will feed on them. You can try using a regular worm and bobber in these areas if you want to catch some pan fish and just want to have fun. For the larger fish I suggest using a minnow, also with a bobber, if you feel like relaxing and hoping to catch the big one, but if you’re feeling more adventurous grab a couple of lures and do some casting. Locks and bridges are great areas for fish to live in because there tends to be moving water around these spots which aerates the water bringing more fish into these spots. Some of the spots I’ll show you in the maps are locks and bridges. 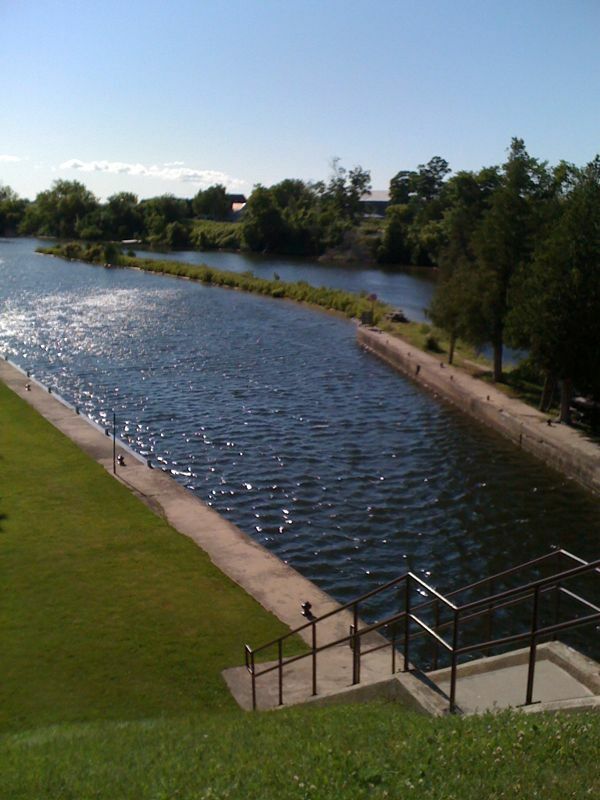 A few words of caution, when fishing around a lock it is best to go on off hours, early morning or late evening as the locks are usually operational during the day and they may not want fishermen around while the boats are going in and out. This can usually be easily avoided as locks tend to have a lot of room to fish and you can easily move away from any moving boats. For the most part I haven’t had too many problems when it comes to this, you simply move out of the way or fish from a different spot around the lock. 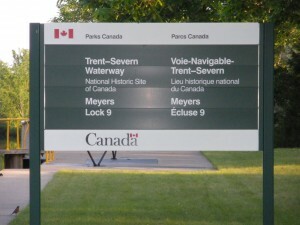 I’m lucky when it comes to locks because I live in Southern Ontario and there is a whole network of locks to fish from, known as the Trent Severn Waterway (http://www.trentsevern.com). Bridges on the other hand are great spots but will usually involve a bit of a climb down to get to the water. Make sure you have some running shoes on, because flip flops just won’t cut it when you’re climbing down some of these rocks. So remember, don’t be deterred from fishing if you don’t have a boat. There is plenty of opportunity to catch the big one, as well as the small ones, and have a blast fishing from shore. This is a lock I still fish from time to time. It is loaded with small pan fish but, it can also house a pike or two. I suggest moving away from the lock and going to the north end. There’s a bit of moving water there and you can land a big one if you’re lucky. A few pike have been caught here, unfortunately not by me but by my old man. When you pull in here you may have to pay for parking so have some change ready, from what I remember it was only something like $2 to park all day and during lock hours there is a washroom if need be. I actually just found this place not too long ago on a fishing trip with a couple of my friends. This is a great place with ample room to fish from. You can really cast in a variety of places and there is lots of room to explore. 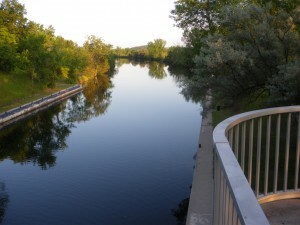 Try fishing below the waterfall or by the bottom of the lock. This place can offer a variety of fish, but you have to be patient. Plus for a bonus on your way out there is a pretty little town called Campbellford and they have a Tim Horton’s that’s open 24/7. A 180 degree spin around view from the sign to the left. 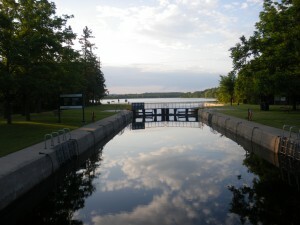 I am standing on the actual door to the lift lock here and you can see that it opens up to a much larger body of water. This is the view from behind the sign. As you can see I am pretty high up giving a good angle as to the entire location. 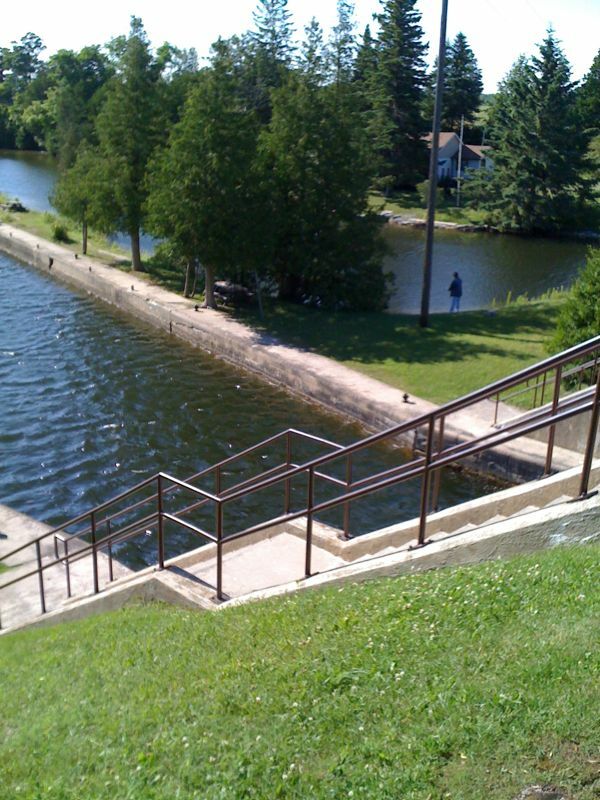 There are stairs to walk down to that area and you can fish from there. 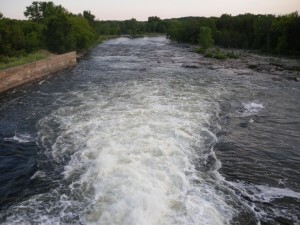 At Meyers there is also a this waterfall that is used to generate power. As you walk around this location you can explore the varieties of places to fish. To access a multitude of shore fishing on this lake take Centennial Park Road off of the 48. This road has a bridge on it that you can access with a short walk. Try fishing around the bridge or venture on further and fish from the side of the road. I’ve been told that there is excellent walleye fishing here, but I’ve only been lucky enough to catch some pan fish and some decent sized largemouth bass. Fish off of the Scugog Street bridge or if you actually go into the town of Port Perry you can fish off of the local marina there. Small pan fish abound and a few larger guys but again you have to be patient here. This lake is fished quite a bit since it is so close to Toronto so you may have some competition. One good thing, if you’re not lucky you can try your luck at the Blue Heron Casino just up to road. 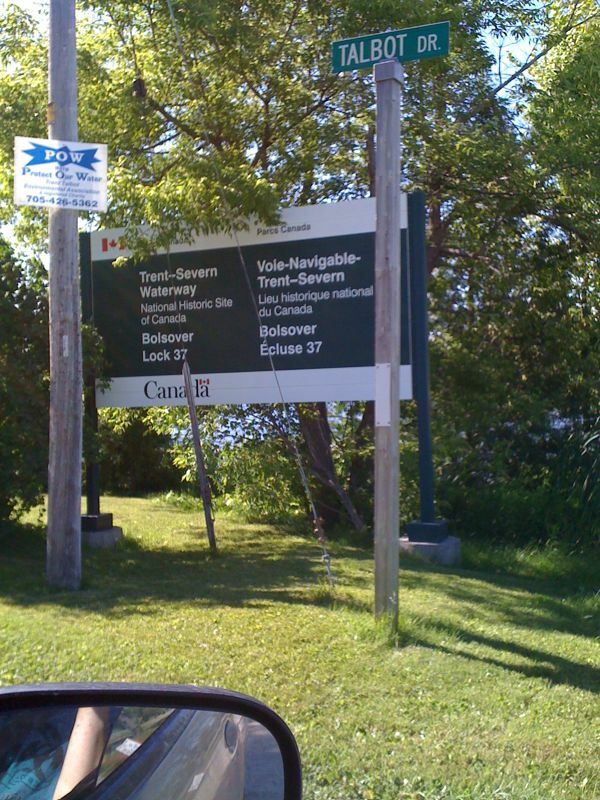 Click on this link to view a map of fishing sites right around Toronto and its surrounding suburbs.